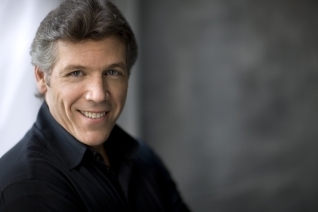 A quick reminder: Tonight at 7 and again at 10, Wisconsin Public Television will broadcast “Live From Lincoln Center,” which offers a special New Year’s Eve concert by the New York Philharmonic under Alan Gilbert with baritone Thomas Hampson. The all-American program features music by Copland and Gershwin. That means you can channel surf back and forth to the music as you wait for the ball to drop in Times Square. Nice, no? 2009 was an excellent year for classical music in Madison. So, who should be the musician of the year for 2009? 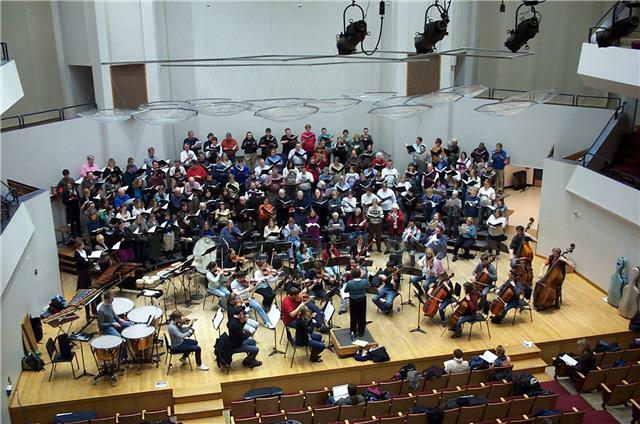 It would be easy to pick a big name to honor – John DeMain and the Madison Symphony Orchestra, or Andrew Sewell and the Wisconsin Chamber Orchestra, or Allan Naplan and the Madison Opera or the University Wisconsin School of Music and the Pro Arte String Quartet. And, in fact, I have done so before, when I was writing for The Capital Times and the Wisconsin State Journal. 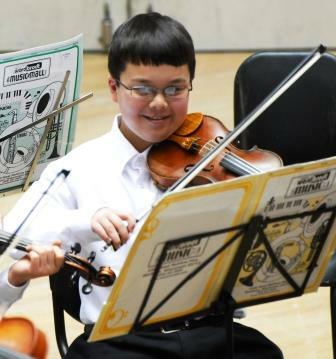 All of those people and groups continued to turn in outstanding performances and all contributed immensely to the vibrant and healthy classical music scene in the Madison area. So did many others. But this year, I am going to name Trevor Stephenson (below) as Madison’s Classical Musician of the Year. Stephenson, you may recall, is a Madison musician and keyboard-maker whose specialty is early music. He has many duties and does a lot. He teaches at Edgewood College and performs tirelessly at many local venues. But the biggest reason he serves the honor is that he is a superb musician who is also as terrific explainer. As a conductor, Stephenson was responsible for the most memorable event of 2009, which was a sublime reading, with period instruments and outstanding singing (below), of J.S. Bach’s mammoth “St. Matthew Passion,” perhaps Bach’s biggest and best work. Stephenson and the Madison Bach Musicians he founded and directs performed the work at the First Unitarian Society last spring for performances. Both were sold-out. No wonder, since the music making was first-rate. But I have also seen Stephenson at work in other capacities. 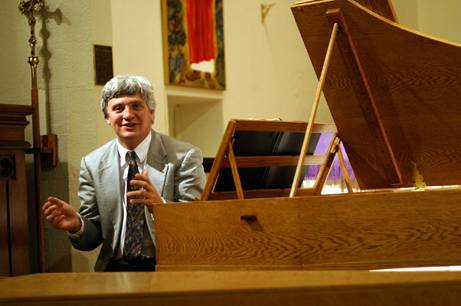 He performed on the fortepiano – an early version of the piano that came after the harpsichord — on “Sunday Afternoon Live From the Chazan.” His Haydn, Schubert, Mozart and Beethoven were tasteful, energetic and ear-opening. I heard him perform a similar program at one of the free Friday Noon Musicales at the First Unitarian Society, and he was humorous, witty and patient with the appreciate audience who wanted to know more about the instrument and the music. But he was also very, very good in his playing. I was particularly impressed with his natural manner of playing and his original ornamentation in variations and repeats. Stephenson has recordered many CDs, including keyboard works from the Italian baroque. I imagine his students at Edgewood feel very luck to have such a fine classical musician who is so genial and who makes both himself and the music so accessible without compromising performance standards. That makes Stephenson, who seems to share the well-adjusted and cheerfully inventive temperament of Haydn, a model for all classical musicians and lovers of classical music. I look forward to hearing and seeing more of Trevor Stephenson. My guess is serious music lovers will be very satisfied if they go to the Madison Bach Musicians’ performances this spring (Saturday, April 10, at Trinity Lutheran Church and Saturday, April 24 at the First Unitarian Society) where they finish up their Bach “Brandenburg” Concerto cycle with Concertos Nos. 4, 5 and 6. You could also hear Stephenson solo performing works of Bach, Handel and Scarlatti (all born in 1685) at the official dedication of a double-keyboard harpsichord built by Norman Sheppard of Middleton. That concert is Friday, March 12, at Good Shepherd Lutheran Church. So please join me in wishing Trevor Stephenson a healthy and happy new year filled with much more music-making and more informative and good-natured talk. He deserves it, and we are lucky to have him. Who would you nominate as Madison’s Classical Musician of the Year for 2009? It’s still winter intermission here, and not much is going on. All the major arts presenters are still in recess, as is the UW-Madison. But there are some events worth attending – or at least listening to. After a two-week holiday hiatus, “Sunday Afternoon Live From the Chazen” starts up again this Sunday, Jan. 3. The UW-Whitewater music faculty will perform a varied program that includes some major music: Samuel Barber’s Cello Sonata, Takakishvili’s Flute Sonata and Serge Prokofiev’s Piano Sonata No. 8 in B-Flat, Op. 84. As usual, the concert will be broadcast live on Sunday from 12:15 to 2 p.m. on Wisconsin Public Radio (in the Madison area, tune into WERN 88.7 FM). Some good classical music will be on TV this Thursday at 7 p.m. when “Live From Lincoln Center” on Wisconsin Public Television broadcasts a New Year’s Eve concert by the New York Philharmonic under its new maestro Alan Gilbert. The program runs to 9 p.m. (then is repeated 10 p.m. to midnight) and features baritone Thomas Hampson (below) in American music by Copland and Gershwin. On the lighter and more celebratory side of classical music, this Friday we will once again have the chance to hear and see “New Year’s Live From Vienna.” The conductor of the Vienna Philharmonic will be Georges Pretre, who did very well several years ago at the same event. It will be broadcast Friday morning from 10 a.m. to noon on Wisconsin Public Radio (in the Madison area, WERN 88.7 FM) and in the evening (with dancers, horses and landscape and interior shots) on Wisconsin Public Television from 8 to 9:30 and then 11 p.m. to 12:30 a.m.
As we look forward to the new year, this is also the usual wrap-up time. It has been a good fall semester and a good year for music. I have great respect for Barker. But I do take some exceptions and have somewhat different opinions. For example, I think Nadja Salerno-Sonnenberg (below) was not a “clunker” soloist with the Madison Symphony Orchestra. She was a winner star who played Astor Piazzolla and communicated effectively and emotionally with the audience. I was there and I know. Barker is also right about the richness of the Madison classical music scene and how much of its stems from an increasing number of smaller groups. But I also think there is a danger that the Madison scene is becoming too competitive and a shake-up may not be far off. I’ve seen some unexpectedly small audiences at events that deserve better. Finally, I would also note the richness of the classical music scene for young people in Madison, in part because I think it helps to explain why the overall classical music scene here is so rich for a city its size (say, 300,000) and a county the size of Dane County (say, 550,000). Items: There is the Bolz Young Artist Competition and Final Forte concert and other events for young musicians by the Madison Symphony Orchestra, some of which are broadcast on Wisconsin Public Radio and Wisconsin Public Television; the Young Artists Concerto Competition and Side-By-Side Concert through the Wisconsin Chamber Orchestra; Opera for the Young, which performs in schools, and the Madison Opera, which performs specially for students; Wisconsin Public Radio’s Neale-Silva Young Artists Competition where the winners perform at the Wisconsin Union Theater and are broadcast live on Wisconsin Public Radio; the Madison Youth Choir; and many, many more programs and groups. The enjoyment of making and listening to classical music starts young. So — let us now praise local classical music groups and programs that reach out to young people. Beneath the surface successes and high-profile events, they may be the real classical music heroes of 2009 — and of every year. 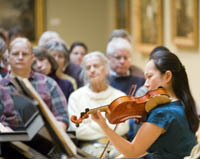 What was the best classical music performance you heard in Madison in 2009? My original post was on Nov. 17 and the comments included one from Tim Page himself (right). Here is another response that, because of its length and detail and later date, deserves a posting of its own. I believe I can answer a lot of your questions regarding genius and Asperger’s Syndrome. 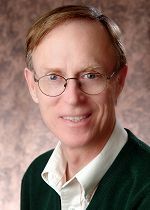 I am a 51-year-old psychologist who was diagnosed with A.S. when I was 46, and I have come to make it my “special interest.” I conduct two Adult with Asperger’s groups in Minnesota. I have a blog in the Autism hangout website and I am an expert in the “ask the expert” (on the subject of Autism). I think if one is high functioning with their Asperger’s, they will likely avoid being diagnosed as a child and go into adulthood, as I and countless Aspies have. One doesn’t just receive a diagnosis of A.S.; it is a discovery. Because to be successful with the diagnosis, one has to incorporate the characteristics of A.S. into their identity. However, we all know that we are “different” from early in our life. There is no doubt that creativity plays a major role in our lives, as we don’t just think outside the box — we live outside the box. Therefore we are always thinking about novel ways to do things that neurotypical people have established as standard procedure. There isn’t any medication for the diagnosis nor is there a direct treatment not cure for A.S. But the so-called co-morbid diagnosis like anxiety, depression and obsession is likely treated with medication. We have executive functioning issues so we, like ADHD individuals, have difficulty staying on task and focused. I focus on Theory of Mind and discovering the significance of A.S. to one’s identity as goals in therapy. The blogs that I write are designed to help the general public understand how it affects a person on a daily basis and forms the unique and creative characteristics that we have. One thing I cannot tolerate is for us on the Autism spectrum to be considered a mystery or symbolized as a missing puzzle-piece. We are not some mysterious, enigmatic creatures; we are human beings who are as appreciated as much as one wishes to appreciate us. The problem usually comes when people try to change us into behaving like a neurotypical person. We are differently-abled, not disabled. My upcoming book is titled “USER MANUAL” and is a book of journal inscriptions to help people know how to effectively interact with us. It is due for publication in mid-2010. Lastly, I cannot say much about Beethoven’s possibility as being on the ASD, as I have only begun to study his life and mannerisms. But I can say with much confidence that Mozart was one of us, from everything that has been said about him and how he was portrayed in the movie “Amadeus,” in particular his manner of composing. To use a billiard ball as a timing devise to compose the notes is such a example of eccentric repetition that it is hard to imagine a NT person would do that. Oh yeah, one more thing. An Aspie usually likes to write — so many of the ones I know love to write — but it is very difficult for us to structure our own work well. There is a tremendous need for a trusted editor who might have an insight to what creative vein we might be taking. I enjoyed your review and keep up the good work. Feel free to read my work and correspond with me. What are your favorite classical music videos to watch on YouTube? Here are some suggestions. It was the composer Igor Stravinsky (right) who remarked that you should listen to music with your eyes as well as ears. I think it because it has to do with great hand-eye coordination, and the certain kind of athletic qualities and physical prowess that great music-making demonstrates. I bet Stravinsky would have been a big YouTube fan. And YouTube is so easy to use. Just go to YouTube and type into the each engine slot a specific composer or performer or piece or instrument and you will get a lot of choices. Let others know your favorites for string playing, singing, brass, winds, chamber music. opera, whatever. I’m particular interested in historical piano performances. What was the best classical music gift you gave or got? Just a really quick one today: What was the best classical music gift you received or gave this holiday season? A lot of us have gift cards to redeem or cash to spend, so we may want some tips about how to do so? Besides it’s not too soon to start collecting ideas and inspiration for birthdays or even the holidays a year from now. Plus, there is still New Year’s coming up. What classical music and performers were the top sellers of 2009? So, Christmas is over and now we can look backward to the past year as we also look forward to the new year. Care to guess which classical artists and what classical repertoire sold the most in 2009? Here’s a story that I found eye-opening — and somewhat alarming as it regards the future of classical music and so-called “classical” music, including classical recordings. 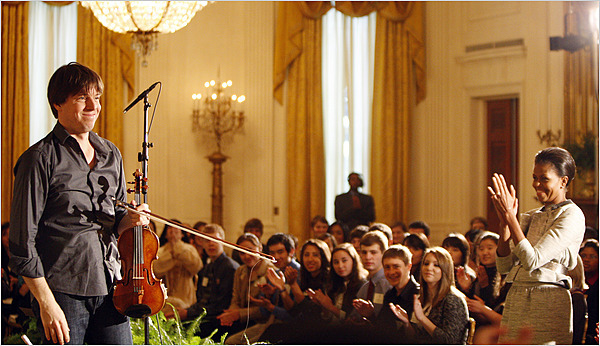 Some clues: Violinist Joshua Bell (below) performed at the White House and was applauded by Michelle Obama. The Chinese-born pianist Lang-Lang (see below, at the Nobel Peace Prize ceremony) — is known for his flamboyance, leading some detractors to nickname him Bang-Ban . But apparently a lot of the public disagrees. Today is Christmas Day — a day of gifts and gratitude. Classical music will, as always, be integral my celebration. I will listen to Handel’s “Messiah” and J.S. Bach’s “Christmas Oratorio” among other works and composers. But I want to thank readers of the The Well-Tempered Ear blog. You have given me a wonderful Christmas gift, the best Christmas gift of all: You have read the blog and used the blog and let others know about it. Originally, I was hoping to reach 7,500 hits by Jan. 1. Then I upped it to 10,000 , but hit that last week. Now it looks that it may reach 10,500 by the end of today and 11,000 hits by Jan.1. That’s not bad for a blog that was launched only on Aug. 20 of this year. But I also get other “gifts,” including comments. One recent newsworthy comment comes from Akiko Ichikura, a devoted reader who is like a Tokyo correspondent for The Well-Tempered Ear. The China-born 27-year-old Li, who now resides in Hong Kong, is of course something of a Chopin specialist and was the youngest pianist ever to win the International Chopin Competition when he topped the field in in 2000. I think Deutsche Grammophon made a big mistake dropping Li and I still wonder why, though they deny that competition from the flamboyant and bestselling Chinese pianist Lang-Lang had anything to do with it. I’d like to see EMI undergo a redesign. But that aside, those Chopin Nocturnes should be some wonderful Chopin playing to hear during the Chopin Year in 2010 that marks the 200th anniversary of the composer’s birth, which, like Li’s EMI release, also falls in March. Unfortunately, we are still awaiting official confirmations of the news from EMI or Li himself. As soon as it comes, I will let you know. Do you have news to send to The Ear? 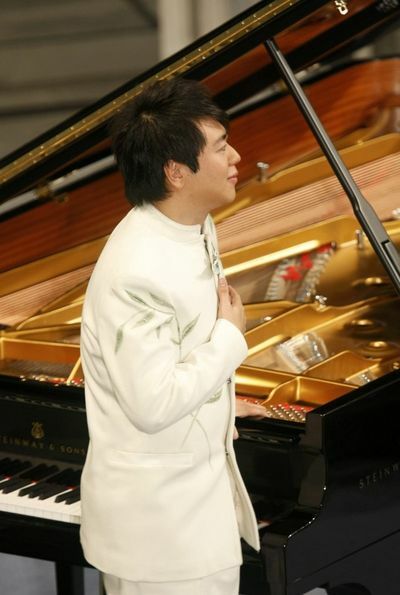 What do you think of Yundi Li’s move to EMI and his Chopin playing? Merry Christmas, every one, and thank you for the gift of a successful blog. Here’s looking forward to the New Year. Given the severe weather problems in so much of the U.S. and the world, a lot of people will be looking for last-minute gifts relating to classical music, a lot of it on-line as well as in “bricks-and-mortar” stores. But first, let me make a point: Generally speaking, it’s the music more than the performance that counts. So don’t shy away from older releases or unknown artists. The important thing is to be exposed to the specific piece of classical music, especially if it is music that is new to the listener. My general rule: If it is good enough to be recorded, chances are it is good enough to be listened to. 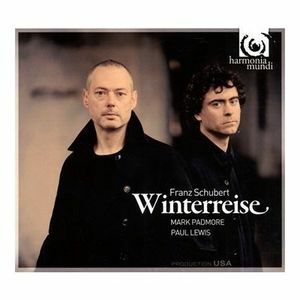 Say, for example, you are looking for the acclaimed new release of Schubert’s famous and movingly season-appropriate song cycle “Die Winterreise” (Winter Journey) with tenor Mark Padmore and pianist Paul Lewis on the Harmonia Mundi label (below). If you find it, great. But if you can’t, you won’t go wrong–and might even do better — with one of Dietrich Fischer-Dieskau’s versions or Ian Bostridge or Thomas Quasthoff or Matthias Goerner or many others. For specific gift suggestions, you can check out previous postings on this blog, including the list of Grammy classical nominees. But here are some other sites with Best of the Year lists for 2009 that might help you. Sometimes there are biases (British sites, for example, tend to favor British artists and releases). But if you compare and contrast various lists, you’ll see it was a good year with a lot to choose from. I also hear and read that big-screen, high-definition TVs are one of the big in-demand gift items this year. I know from personal experience that the new technology adds a whole new dimension to classical music DVDs. Recitals and chamber music and symphony orchestras are terrific to watch and see — it was Stravinsky who said one should listen with the eyes as well as the ears — and opera is a natural. I love watching as well as listening to piano recitals. But classical DVDs with digital pictures and digital sound are a very big improvement over VCR tapes for nay genre. Trust me. They hold you eye and ear. So happy shopping, happy listening and Happy Holidays to you all. Well, Christmas is almost here. And in some ways I have saved one of the best gift suggestions for last. You could give it to someone else, or use that gift card to get it for yourself. There is so much to like about Wisconsin Public Radio, which remains one of the few public radio stations in the country that still takes classical music seriously in its schedule. And one of the best things to like is “Grace Notes,” the story, a minute or so long, that is drawn from the history of classical music and the biographies of classical music composers and performers. It is researched, written and read out loud every weekday around 11:30 a.m. by longtime WPR host Norman Gilliland, who has been doing it for 12 years. (Gilliland is also the voice of the Wisconsin Chamber Orchestra’s Concerts on the Square.) In the Madison area, tune in to WERN 88.7 FM. It’s a very readable volume organized with one story for each day – including weekends – for the calendar year. Each of the 365 short stories story is usually about one page long, between 250 and 300 words, and many have a small black-and-white image to break up the text and give you a personal sense of the subject. And it is very informative as well as entertaining and enjoyable. It has a 15-page bibliography as a testament to the care and hard work with which it is researched, and a 10-page single-spaced index that tells you how many different composers, performers, impresarios and others are included from all periods and genres of classical music. I spoke to Gilliland (below right) about his book during an interlude in his daily broadcast. How does he decide on a topic? The idea is to humanize music. “The whole point is to make it clear that the process of music, from concept to execution and performance, is a human one,” Gilliland says. “Whether you know anything about classical music, read these books as stories about people. In a blurb for the first volume, Studs Terkel said these are stories about everyday working people who happen to be in the music business. Does he learn something new about music, despite his deep background, when he doing them? “It has bluntness, like wire copy, and shows a radio influence,” says Gilliland, who says he gets e-mails from the public and professional musicians with questions, clarifications and praise. 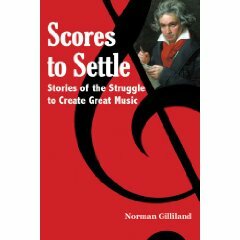 Have you read Gilliland’s anecdotes or heard them on the radio? Classical music holiday gifts, Part 3: You can help someone listen to music – or to make it. We’re three days out from Christmas and some of you may still be wondering about what special and unusual Christmas gift – or holiday gift – to get for someone close to you. In the past week or so, I have suggested classical recordings, audio CDs and video DVDs, to give. I have also suggested books. I have suggested offering time and companionship to people, especially the young and the old, along with tickets to a live event in your area. Today, I want to suggest what may be the ultimate classical music gift: Music lessons. It might sound presumptuous to buy music lessons for someone else. And you do have to be careful. You ought to know the person’s taste in music and whatever that person would like to do – play the piano or guitar; or sing; or play a string, brass or wind instruments; or pursue percussion. But it can work out well. Twenty years ago, I gave voice lessons someone who had always wanted to sing but never had training. I called the University of Wisconsin School of Music and talked to a member of the voice faculty who, in turn, suggested a local voice teacher who had studied with him. I spoke to that local voice teacher and arranged for two months of lessons as trial gift, a starter gift if you will. It worked out very well. My recipient liked lessons so much, she continued to take them for a few more years. Then she was good enough to pass auditions for the UW Choral Union (below, rehearsing), a community-campus chorus that has one big program each semester. One semester she sings with the UW Chamber Orchestra, the other semester with the UW Symphony Orchestra; and sometimes a cappella. It turns out she likes singing much more in groups that solo. Since then, she has gone on to sung Mozart and Haydn masses; requiems by Brahms, Mozart and Verdi; and other works by Bruckner, Rachmaninoff, Mendelssohn, Dvorak, Stravinsky, Bernstein and many others. I know what she loves. As an avid amateur pianist, I know there is nothing to compare with knowing music from the inside, from actually making it. So there is still time to consider making a gift of music lessons. It doesn’t seem so unusual for young people, especially during a bad economic time when schools are cutting back on arts activities. But it also a great gift for older people, especially people who are retired or are about to retire and have more time for practicing and pursuing a new avocation. You can also ask around. You’d be surprised what your friends know. And of course you can always hop on the Internet and go to Google or some other search engine and type in your city or town with the appropriate instruments or specialty. Chances are you will find a way to connect and find the right person for the right student at the right price. But ask the right questions and you may well end up with a gift that brings deep satisfaction for a long time. Have you ever given – or received – music lessons as a gift?